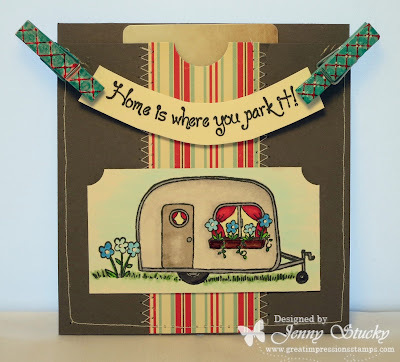 Fabulous camper stamp...wonderful projects!!! Thank you for the chance to win! Very cute! I love your sweet little gift card holder. The clothes pins are adorable too. Such a cute camper--unfortunately I am not on facebook. Squeal :) Another great set that's on my wish list! What a fun card, Jenny! Someone will be very lucky winning such a great prize! What a super layout to make this stamp shine!